Styled with wrap crop top . 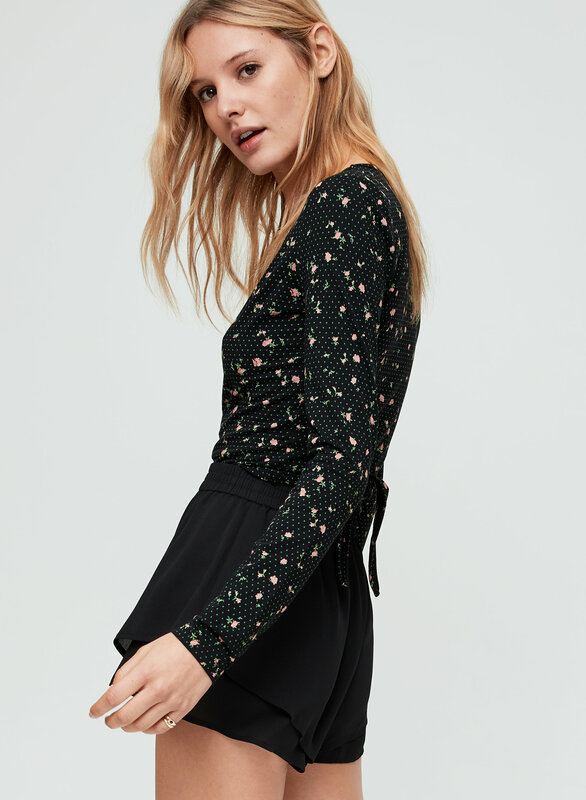 Dressy shorts solve everything. 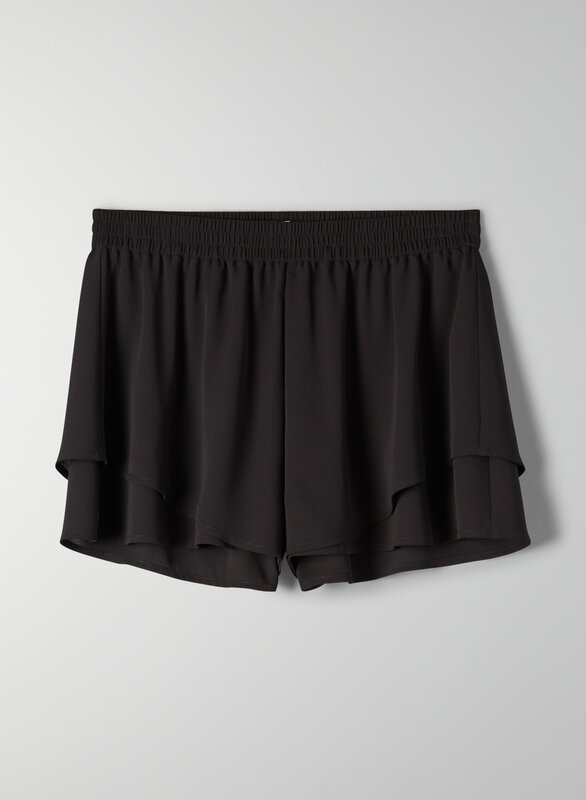 This is a mid-rise short with a smocked waist and double-flounce leg. It's made with a drapey, silk-like fabric.